The Trump administration is considering changes that would end or limit the Deferred Action for Childhood Arrivals (DACA) program. The University of Washington is strongly opposed to ending this program and we are working with universities across the country to urge the Trump administration not to dismantle or diminish any aspect of DACA. We have no clear indication of what, if any, changes the administration might make. What is clear, however, is that the UW's policies regarding immigration status have not and will not change. 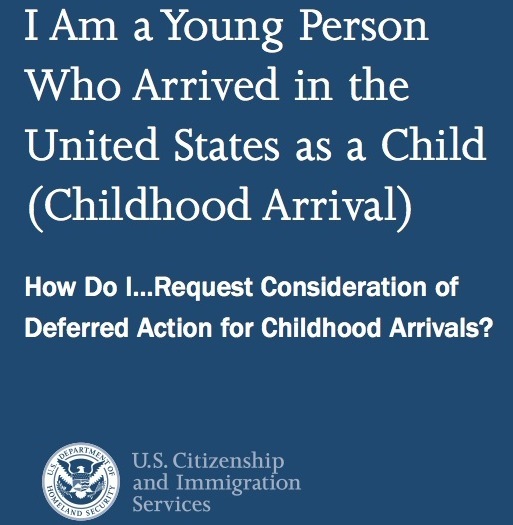 On June 15, 2012, the Secretary of Homeland Security announced that immigrants who arrive to the United States as children and meet several key guidelines may request consideration of deferred action for a period of two years, subject to renewal, and would then be eligible for work authorization. Deferred action is discretionary determination to prevent removal action of an individual as an act of prosecutorial discretion. Deferred action does not provide an individual with lawful status. If you would like to learn more about Deferred Action for Childhood Arrivals (DACA) and application process please visit the U.S. Center for Immigration Services website. According to the Washington Student Achievement Council (WSAC), you may be eligible for the College Bound Scholarship. However, you are required to verify your Washington State residence, as well as your DACA status, before this scholarship can be awarded. The UW’s Residence Classification Office is in charge of this verification process. Please download their Residence Questionnaire at: http://www.washington.edu/students/reg/residency/applicationProcess.html and submit it and the necessary documentation for residency, along with a copy of your DACA documentation (I-797 form), to the Residence Classification Office.